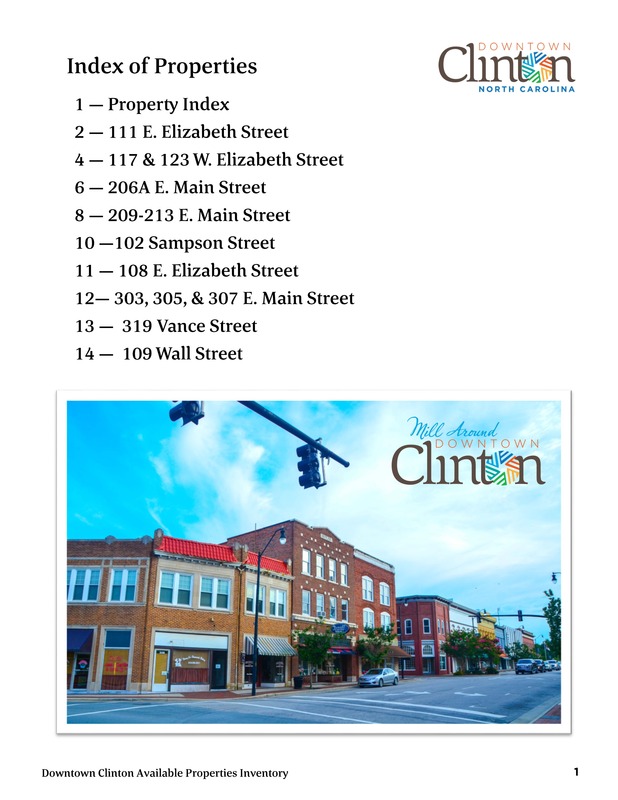 Are you looking to join the numerous other businesses that already call Downtown Clinton home? 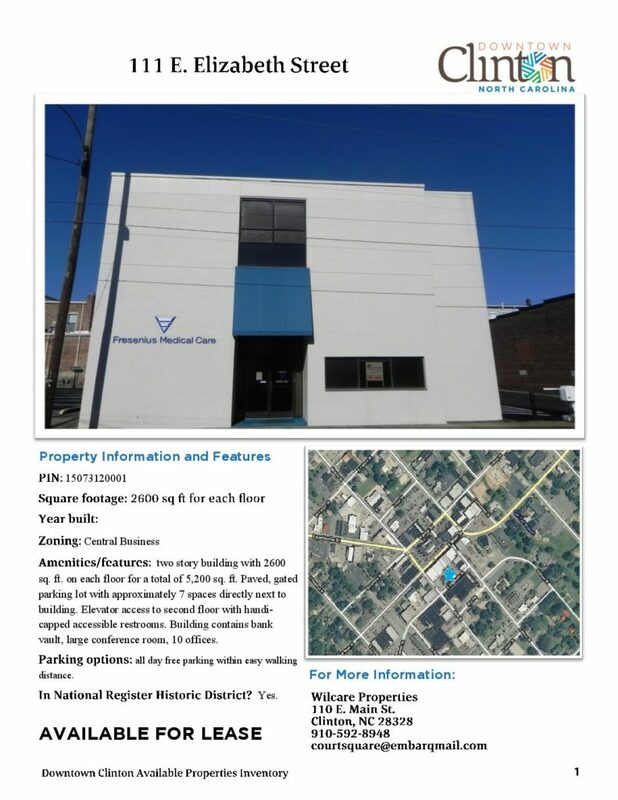 Check out the available properties PDF linked below, you can also download and print the entire catalog. There are properties available for a wide variety of uses. 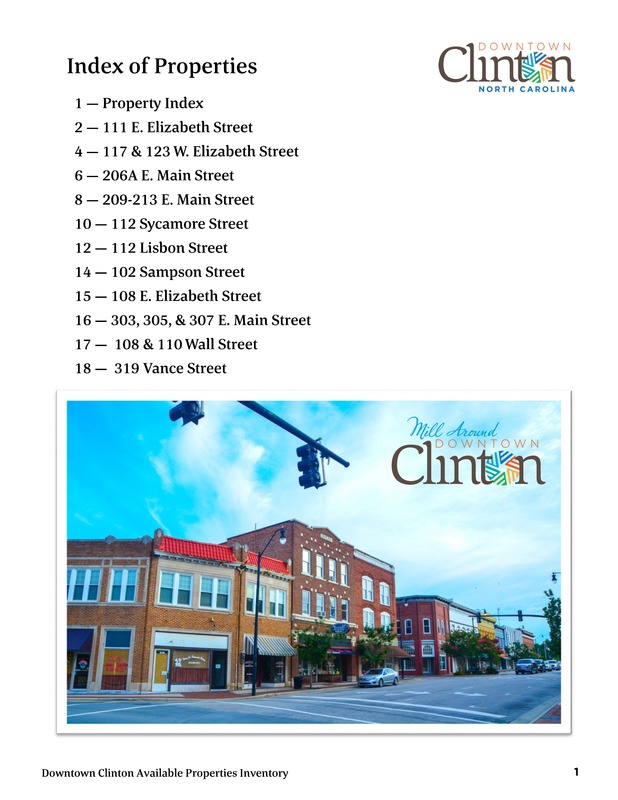 Please contact the Clinton-Sampson Planning Department for more information about any of the properties listed on the inventory at (910) 299-4904.